Tim McGrath - Newton, meet Dickinson. And yet for all their differences, stark as they may seem to be, their lives had many parallels, beginning with some superficial biographical details. Both were born in a small town and raised in comfortable circumstances. Both were seen as precocious students, though neither as a prodigy, and both lived through a time of civil war. Neither ever married. A closer look shows deeper connections, parallel lines that converge and intersect. One of the most remarkable is that each went through a highly productive period of creativity. And by coincidence, in each case, the period lasted for about three years. Of the almost 1,800 poems that Dickinson set down in her lifetime, she wrote the bulk of them—close to a thousand—between 1862 and 1865. 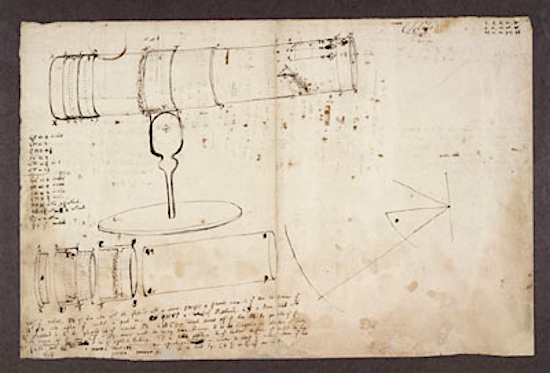 Newton laid the groundwork for his best work—in optics, the binomial theorem, calculus, and gravity—from 1664 to 1667. In another striking coincidence—one of those coincidences that rises to the level of irony—neither Newton nor Dickinson ever saw the ocean. Newton, who explained the tides, never saw them rise and fall. Dickinson, who longed for the sea and wrote a hundred poems about it, traveled to the East Coast several times, often for an extended stay within sight of the Atlantic Ocean, and yet she claimed she never managed to see it. The odd thing about her claim is that, as unlikely as it seems, it may well be true. She made at least five trips to Boston, each for weeks or months at a time, but none of her letters describing the visits ever mention the ocean. She may have stayed away for reasons of health. Like many cities at the time, Boston dumped sewage into its rivers, which flowed directly into the harbor, turning it into a cesspool. She also had other health concerns that would have been a factor. During her two longest stays in Boston, she was under the care of a doctor for a serious eye condition, and apparently the doctor ordered her to avoid exposure to light, which would have prevented a visit to the shore. After the second round of treatments she returned to her home in Amherst and never ventured to the coast again. Yet she remained enamored of the sea, returning again and again to it in her imagination. And though she’d be an “inland soul” forever, she painted scenes of the open water as well as Herman Melville did. NEWTON WAS LIKE DICKINSON here in that he didn’t need to see the tides in order to see into them. As he groped towards an understanding of the force of gravity, he wanted to know how the tides varied with the moon’s position in the sky. Living in a sea-faring nation that closely monitored both these factors, all he had to do was look them up. Poring over his charts and tables, he found the difference in height between the spring tide and the neap tide and, with nothing more complicated than a little algebra, used it to determine the moon’s mass. This was a critical measurement. It showed him that, compared to the sun, the moon is the primary driver of the tides. It would be discovered much later that his measurement was off by a factor of two. Nonetheless, in the process of making it, he reinvented and reformulated mass. Before Newton, mass was indistinct from density and weight. After Newton, mass became an independent variable, one of the most important in all of physics. Defined in the Principia as “a quantity of matter,” it has been handed down to us in an equation so simple and direct that any student can absorb it in a single glance. This is the famous second law of motion, known for its economy of form as well as for its insight into fundamental properties. In only a few syllables it describes the exact relationship between acceleration, force, and mass. If mathematics were poetry, it would be a line of haiku. Newton didn’t like poetry. “It is,” he said, “a kind of ingenious nonsense.” Dickinson, however, loved mathematics, or at least the language of math. It was part of her basic vocabulary. For example, she frequently used such words as diameter, decimal, exponent, bisected, and cubed. Liberated from their textbook definitions, these words acquired not only a new meaning but a new dimension. Dickinson was the poet of circumference, a word she used so many times and in so many different ways that it would effectively define her. Dickinson was the poet of circumference, a word she used so many times and in so many different ways that it would effectively define her. “My business is circumference,” she wrote in a letter to a friend, her business being both her verse and everything encompassed by it—love, nature, time, death, religion, and the soul. Newton’s business was circumference too, though strictly in a geometric sense. Newton was steeped in geometry. He taught himself math by immersing himself in Euclid and Descartes. To get through the latter’s dense and difficult La Geometrie, he would read a few pages, absorb what he could, then go back and start over. Later, when an assistant asked him if he thought Euclid was worth knowing, Newton laughed at the absurdity of the question—the only time in five years the assistant had heard him laugh. And when he wrote the Principia, his devotion to the Greeks was such that he presented his arguments, even those derived from calculus, in geometric diagrams. Newton never knew his father, who died before he was born, and had a strained relationship with his mother. His mother remarried when he was three and moved into her new husband’s house, leaving the young Isaac behind to be raised by his grandparents. The separation was formative. It would be his “Rosebud” moment, the inciting incident, and he responded by withdrawing into his own Xanadu. Dickinson wasn’t close to her mother either. She indicated the distance between them by saying, rather pointedly, “I never had a mother.” What she meant is that they didn’t have a rapport. Her mother was emotionally and, of maybe more importance, verbally inexpressive. A literate but literal-minded woman, respectable but conventional, she would have been confounded by her daughter’s virtuosity. It’s possible that she was simply jealous. NEWTON FULLY INHABITED his role as an outsider. “A sober, silent, thinking lad,” he didn’t play sports with other boys or take part in their games. Even then, he had a rigorous mind and a rigid personality. The rigidity came from the conflict between his two main character traits, shyness and hostility. This inner conflict made him tense, and the tension made him volatile. At times it made him violent. On one occasion, for example, in a profound misreading of her son, his mother pulled him out of school, where he was his happiest, and put him to work on the family farm, tending to the sheep. Newton went on a mini-rampage, later confessing in a journal to “striking many,” “punching my sister,” and other acts of violence. His mother eventually relented and allowed him return to school. And though he soon learned to control his physical aggressiveness, he’d always be a soul divided and a man apart, at odds with himself and with the world. Newton’s personality was fixed at an early age. The child was father to the man. Dickinson, on the other hand, went through a dramatic change between youth and maturity. The young Dickinson was introspective but not introverted. Funny, smart, and popular at school, she made friends like Newton made enemies, with no apparent effort. She maintained an active social life all throughout her teenage years, attending parties and even dances like other girls her age. But then, in her early twenties, she began to change. She developed a passion for privacy and gradually withdrew from the outside world, never leaving her father’s house during the last 20 years of her life. The confident young lady with the positive, outgoing manner became as shy and secretive as Newton. In an effort to make sense of this, town gossips conjured up a tale of disappointed love, which scholars have debated almost ever since. The gossips got half the story right. She did have a tragic love affair, probably two or three of them, but that isn’t why she disappeared into her upstairs room. AFTER BEING SNUBBED BY her, Bowles dubbed her “the Queen Recluse.” And she was every inch a queen, although she ruled with wit and humor, not by royal decree. She wore her crown so lightly that even at her most dismissive she could be disarming: “It dropped so low in my regard / I heard it hit the ground.” When Thomas Wentworth Higginson, another friend and editor, asked her why she avoided people, she said that they speak of sacred things in ways that “embarrass my dog.” The comment was both frivolous and altogether serious. She saw more depth in the canine soul than in her fellow man. 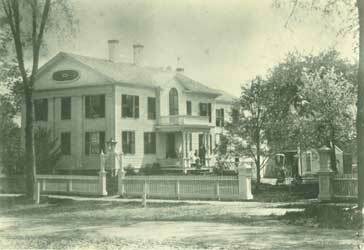 With the exception of her family and a circle of close friends, Dickinson didn’t like people any more than Newton did. The second reason she withdrew, which coincided with the first, is that she discovered her vocation as a poet. After a long apprenticeship, during which she read and absorbed far more poetry than she produced, she had a major breakthrough and the poems came tumbling out. She went from writing one a year to dozens and then hundreds. With her output increasing at a geometric rate, she had no time to socialize if she had even wanted to. But why would she have wanted to? Compared to the exhilaration of having written a good poem, what could Amherst offer her but trivial distractions? If she had been more open to receiving visitors, she would have had to choose between a visit from a neighbor or a visitation from the muse. Newton’s low opinion of the subject notwithstanding, poetry aspires to the condition of math as much as it does to that of music. 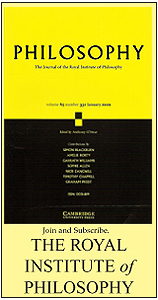 Newton’s low opinion of the subject notwithstanding, poetry aspires to the condition of math as much as it does to that of music. To eliminate the inessential, a poet, like a mathematician, reduces, condenses, and simplifies. Dickinson compared the process to distilling “attar from the rose.” This distillation gave her poems their mathematical character. She has lines that read like an axiom. She has quatrains as tight as an equation. And she knew better than anyone that a poem’s intensity is inversely related to its length. Wordsworth wrote that he found solace “within the sonnet’s scanty plot of ground.” Toiling in a smaller vineyard, Dickinson found more than solace in the song-like, 4/3 rhythm of the ballad meter. She found a steady source of inspiration—she called it her “daily bliss”—within the form itself. Shorter and faster than the five-beat lines of a sonnet, the 4/3 was her natural instrument. Its tempo matched her temperament, bright and quick. The pentameter’s more stately pace would have been too slow for her, as she no doubt discovered when she experimented with the form. The 4/3 meter was her lyre and its music lifted her to lyric heights. This is one of her many poems that simply can’t be improved upon. Formally, musically, metrically, it is perfect. Every syllable is in place and every rhyme exact. Like a “supremest earthly sum,” it can’t be added to or subtracted from. And then there is the language, a mix of the religious and the romantic, whose meaning, though resistant to paraphrase, is never less than clear. It’s a simple declaration of love—simple but not simply expressed. Of all the stray atoms in the world, the poem exalts the one she’s chosen with exalted language. If poetry were mathematics, it would be one of the great equations, one of the great theorems. THE MOST SURPRISING thing about perfection is that there is so much of it in this imperfect world of ours. It’s everywhere in music, basic in math, and not uncommon in poetry. Of the many poets who have written perfect poems, most wrote only one or two. Quite a few have ten or so, but very few have more than that. Dickinson produced them in profusion. Almost every one of her efforts has something that is perfect in it—a line, a stanza, an adjective—and she has several hundred that are perfect in their entirety. If any of her finest pieces can be said to have a flaw, it is that they are too brilliant, too intense. Within two years of launching his program of self-study in math, Newton was doing original work on the binomial theorem. The binomial theorem is a formula for finding the sum of a pair of terms multiplied by itself any number of times. Newton didn’t invent the theorem, which had been around for centuries, but he saw that it held a pattern no one had observed before. The binomial theorem is a tapestry of patterns. All the patterns are determined by the value of the exponent, which previously was thought to be restricted to the natural numbers. Newton showed that it could consist of almost any recognized number—positive or negative, whole or fractional, real or imaginary. When the exponent is a natural number, the result is a simple, finite sum. But when a substitute is allowed, such as a fraction or a negative integer, something unexpected occurs: the result is an infinite series. The advantage of an infinite series is that its terms can be added up to any degree of accuracy. The disadvantage, in Newton’s day, was that it had to be worked out by hand. Expanding a binomial, even with a formula, could often be a tedious process, involving multiplication and long division. Newton had a taste for such things, for brute force calculation. Once, just for the fun of it, he carried out a decimal to more than 50 places. The satisfaction he derived from simply pushing numbers around helped him to sharpen his other skills, to hone his intuition. The power of his intuition was never more clearly on display than when he combined the binomial theorem with the rules of integration to arrive at one of his masterworks, the expansion of sin(x). Many mathematicians regard this as a beautiful equation. Even a layman can admire the patterns running through the series, patterns that quickly establish themselves and then go on forever. What makes the expression important, however, is that it was the first time integration had been applied to any infinite series. A milestone in the history of math, it would be used by Newton as a stepping stone to calculus. THE POET, NO LESS than the mathematician, had an affinity for infinity. Along with its twin eternity and its cousin immortality, infinity was one of her recurring themes. Though not well-versed in analysis—the study of the infinite—she had an intuitive understanding of the subject. For example, her use of the word “infiniter,” as in “infinite affection / and infiniter care,” suggests she implicitly recognized that not all infinities are equal. A radical notion at the time, it has since been proven that infinity comes in a multitude of sizes. The sine series vaulted Newton, still an undergraduate, to the forefront of mathematics in Europe, and yet he kept the discovery to himself. He then made an even greater discovery, the fundamental theorem of calculus. He also found expressions for the exponential and the logarithmic series, each a little gem in itself, a small piece of perfection. Encouraged by his adviser at Cambridge, he finally wrote it all up in a paper and sent it to the Royal Society. However, when the Royal Society asked for permission to publish the piece, he flatly refused. 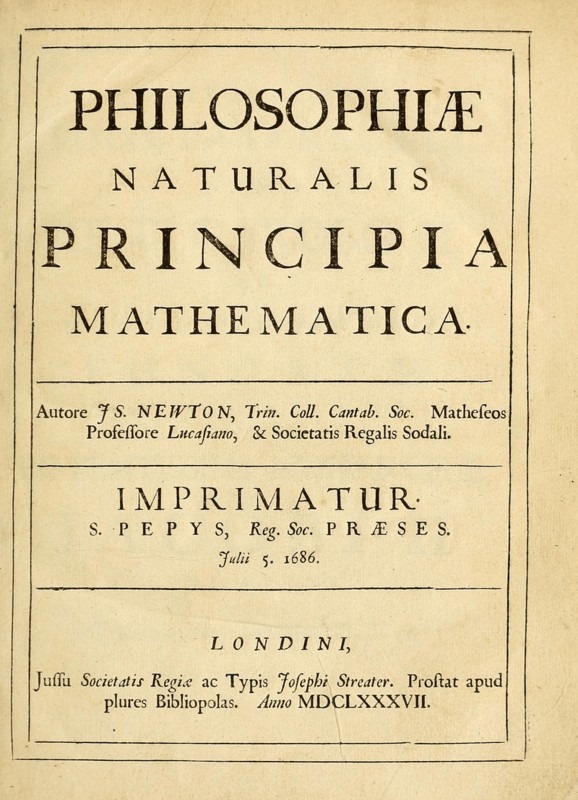 One Newton scholar described the paper, the now famous De Analysi, as “perhaps the most celebrated of all Newton’s mathematical writings.” The equivalent of a great symphony, it sat in his drawer for more than 40 years. Some of Newton’s biographers attribute his refusal to publish what would have been his first paper to a fear of criticism. More likely it was due to paranoia. Suspicious and distrustful by nature, he held on to De Analysi because it would have revealed his methods to the math community. If he was afraid of anything, it was that another mathematician would capitalize on his ideas and take them farther than he did. Whatever the reason, his reluctance to publish is one of the more curious traits that he shared with Dickinson. The poetess, as is well known, locked her poems away in a drawer, and only 11 during her lifetime managed to escape into print. She gave many more their freedom, however, in another medium. A prolific writer of letters, she often enclosed a bouquet of verse and a pressed flower from her garden with her correspondence. She distributed hundreds of poems this way to relatives and friends. Newton’s first appearance in print was very nearly his last. Three years after his withdrawal of De Analysi, he allowed the Royal Society to publish his theory of light and colors, based on his experiments with prisms. 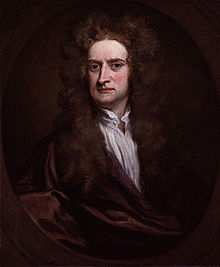 Though for the most part it was well received, the paper was sharply criticized by a handful of scientists in England and on the Continent, provoking Newton to respond in a series of angry letters to, among others, Robert Hooke, who would be his nemesis for the next thirty years. Hooke dismissed the groundbreaking theory as a mere “hypothesis,” a word choice that infuriated Newton. 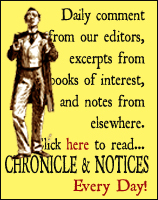 Their letters grew increasingly vitriolic, complete with mutual charges of plagiarism. Newton hated the controversy and the aggravation that came with it, although he brought most of the aggravation on himself. Hoping to regain whatever was left of his “former serene liberty,” he turned his back on the whole business and resumed his life of isolation. Both Newton and Dickinson led solitary but not quite hermetic lives. Newton shared a suite of rooms with a fellow scholar at Cambridge, while Dickinson had daily interactions with her family. Both, however, managed to spend the majority of their waking hours alone. Newton had his meals brought to him so he could avoid the dining hall, and he often worked through the night while the campus slept. Dickinson was nocturnal too. As long as she did her household chores—the baking was her responsibility—her father, a successful lawyer who indulged his eccentric daughter, allowed her to stay up all night, laboring by candlelight, and then sleep through the day. Like Newton, she flourished in the solitude and silence. The last line, “Finite infinity,” a perfect ending to another perfect poem, may seem like an inherent contradiction, poetically appealing perhaps but physically impossible or logically absurd. The phrase, though, has some currency in contemporary physics. In the field of quantum gravity, a finite infinity refers to a surface that’s both bounded and unbounded, a concept that, like Dickinson’s, has a core duality. The paradox that she discovered at the center of her soul can be compared to a photon, say, which is both wave and particle, existing in two quantum states at once. None of this is meant to suggest that Dickinson anticipated the development of quantum mechanics. It does, however, indicate that if had she lived a few years longer, she wouldn’t have been surprised to learn that such things could be. Newton’s conflict with his critics was not the only or even the primary reason he cut off communication with the Royal Society. The primary reason was that his interest in natural philosophy had been superseded by an interest in two other subjects — alchemy and theology. He taught himself Hebrew so he could read the Old Testament in the original, and he built his own furnace to conduct alchemical experiments. By the time of his death, he had written more than a million words on alchemy and well over twice that number on scripture and church history. Newton never did anything by degrees. 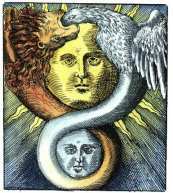 WHAT DID HE SEE in alchemy, which was not only illegal at the time but also more than slightly disreputable? At first, his aim was to explore the properties of matter. Specifically, he wanted to know if the process of growth and change observed in plants and animals could also be detected, with the right experiment, in minerals and metals. Newton believed that alchemy could tell him whether the material world—and by extension the universe—is animated by a soul or spirit. 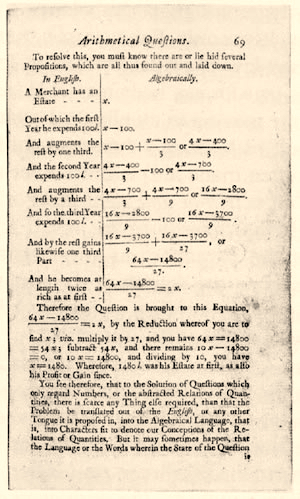 It’s worth noting that Newton associated with an alchemist named Edmund Dickinson (1624–1707), who probably traded manuscripts, recipes, and tips with him. 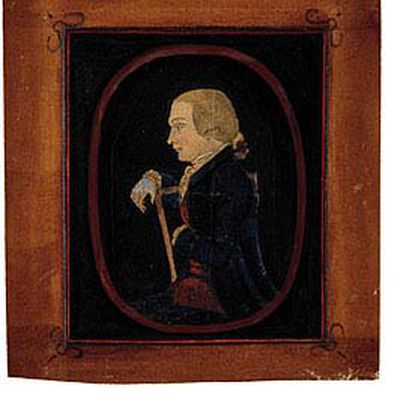 In any case, this Dickinson shared a common ancestor with Nathaniel Dickinson (1600–1676), the patriarch of the Dickinson clan that settled in Massachusetts, the line that led directly to the poet. Newton’s research into church history, together with a close but narrow reading of the Bible, led him to repudiate the doctrine of the Trinity, a dangerous position for anyone, but especially a fellow of Trinity College, to hold in the seventeenth century. Newton was well aware of the dangers. To avoid being expelled or imprisoned, he kept his views from everyone but a few trusted colleagues. A committed, lifelong heretic, he made an effort to ensure that he remained a private one. The curve described by Dickinson’s spiritual development was similar in many ways to Newton’s. Like him, she sprang from Puritan stock and was thoroughly grounded in the Protestant tradition. Like him, she fully assimilated the Bible. And like him, she rebelled against her orthodox upbringing. However, in contradistinction to him, she went farther than heresy and veered into apostasy. All religious dogma was anathema to her. A fiercely independent thinker, Dickinson was, by her own account, a pagan. Depending on the time of day, or maybe on the phases of the moon, she could be a pantheist, a polytheist, or an atheist. She could also be a monotheist, though God didn’t fare well in her poems, often being called to task for his absence or incompetence. One of the other gods she worshiped was romantic love, the subject of many poems that qualify as prayer. But she was at her most religious in poems that expressed her feelings for the world around her, a pagan priestess singing hymns to nature. Dickinson felt closer to nature than she did to her own kin. But more than just a nature poet, she was a natural philosopher, which doesn’t mean she had anything like a philosophy of nature. Dickinson was a spontaneous thinker, not a systematic one. She didn’t have Newton’s legendary powers of concentration. She did, though, have his powers of observation. Perceptive to the point of clairvoyance, she could see beyond the curtain into the secret heart of things. The most existential of poets, she was also the most metaphysical. One of her many descriptions of nature also serves as an apt description of the poet herself. Newton and Dickinson were renunciates in a double sense: both rejected the faith of their fathers, and both rejected, as the Bible urges, the things of this world. Newton and Dickinson were renunciates in a double sense: both rejected the faith of their fathers, and both rejected, as the Bible urges, the things of this world. With his piety, zeal, and sense of guilt, Newton was almost a caricature of the stereotypical Puritan. An extreme religionist, he lived a monastic existence, avoiding women, but not wine, as invitations to sin. At Cambridge, a party school at the time known more for its rowdiness than its academics, he made a sanctuary of his rooms. Eating little, sleeping less, his mind inflamed by thoughts of God, he might have been a desert mystic or a hermit living in a cave. Dickinson was the nun to Newton’s monk. Cloistered in her father’s house, habitually wearing a white dress that may as well have been a habit, she did everything but take the vows. She even once described herself as “the wayward nun beneath the hill.” But why would someone so secular, someone so intoxicated by the things of this world, take on the trappings of religious life? And why would she, like Newton, make a virtue of self-denial? These are just two of the many questions, two of the myriad mysteries that becloud our view of Dickinson. A few years after Dickinson complained that she had never had a mother, her mother suffered a serious stroke that left her half-paralyzed. A few years after Dickinson complained that she had never had a mother, her mother suffered a serious stroke that left her half-paralyzed and in need of almost constant care. The poet willingly took on the role of tending to the invalid, a commitment that sharply limited the time she had for poetry but that greatly benefited the mother-daughter relationship. 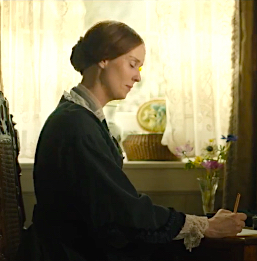 In letters she wrote when her mother died, she said that during their role-reversal—the mother almost childlike in her helplessness, the daughter maternal in her ministrations—the tensions between them were replaced by fondness and affection. Newton, too, had an end-of-life reconciliation with his mother. Before she contracted a “distemper,” which was probably typhoid fever, their relationship had been cool and distant, if not nonexistent. However, on receiving word that his mother was fatally ill, he immediately flew to her side and, at great risk to himself, nursed her through her final hours, changing her dressings and applying ointment to her blisters. Although it didn’t forestall her death, his vigil helped alleviate at least some of her suffering. IN THE EARLY 1680s, a series of comets lit up the skies over northern Europe. The comets created a great stir and drew Newton out of his chambers with a renewed enthusiasm for the wonders of the universe. Tracking their trajectories almost daily with a telescope, he neglected his other studies and once again became involved with questions of philosophy. Do comets orbit around the sun? If so, are the orbits elliptical? Do they obey the same laws as the planets? To answer these and other questions, Newton, in the span of a few short months, created the science of dynamics, better known as the three laws of motion. 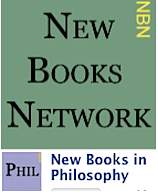 These three laws formed the foundation of the Principia, a thousand-page thicket of definitions, propositions, and proofs that Newton produced in an 18-month frenzy of activity. He then made one of those deductions he is famous for. Having determined that the orbits of some comets are substantially larger than the orbits of the planets, he concluded that gravity must extend beyond the borders of the solar system. After almost 20 years of intermittent effort—after inventing calculus, discovering the laws of motion, and proving that the inverse-square law could be obtained from an ellipse—he arrived at his most significant and far-reaching observation: Every object in the universe is attracted to every other object, and the attraction is mutual. ALTHOUGH A FOUNTAIN IS a perennial symbol of creativity, Newton’s fountain, like Coleridge’s in the near-perfect “Kublai Khan,” was less a symbol than a source of exceptional creativity. Spouting math or poetry, it came to them in dreams and visions, perceived by either the mind’s eye, the naked eye, or both. Dickinson dipped her “spirit pen” into the same fountain. She often labored over her poems, but just as often they sprang forth without premeditation. The incisive critic R.P. Blackmur called her method of composition “automatic writing,” borrowing the phrase from Yeats, whose occult sensibility was as refined as Dickinson’s and Newton’s. Like Newton before her and Yeats soon after, Dickinson considered herself a member of an ancient sect. “Since I am of the Druid,” she wrote, sounding like the Irish poet five years before he was born. A sibyl of syllables, she was equal parts mystic, bard, and witch. There’s been some recent speculation that she suffered from epilepsy, which is not implausible, considering that seizures are often accompanied by a trance-like state. Epileptic or not, she wrote poems crackling with energy that seem to have come directly from a discharge in her brain. “Dare you see a soul at the white heat?” Then see Newton at his forge or the poet at her desk, both transmuting, in their own way, base metals into gold. Call it magic or alchemy, imagination or inspiration, but Newton and Dickinson were themselves embodiments of the philosopher’s stone, the prima materia that brought about alchemical transformations. A good percentage of what they touched turned into the purest form of gold, the spiritual gold synonymous with perfection and immortality. Neither of them made a distinction between the natural and the supernatural, and in this they were most mutual. A sorcerer and a sorceress, a wizard and a witch, they complemented each other like a pair of complementary angles. The stress of working at such a high level, at such an extremity of thought and feeling, exacted a heavy toll on both Newton and Dickinson. At age 50 and 54, respectively, each of them suffered a nervous breakdown, a catchall diagnosis of symptoms that included, then as now, anxiety, insomnia, and depression. In Dickinson’s case, the condition left her physically exhausted, which made her more susceptible to illness. A high-strung, highly sensitive woman whose health had never been robust, she went into a slow decline, lingering for a year and a half before succumbing to kidney disease. Newton broke down mentally, going through what may have been a borderline psychosis. He wrote bizarre letters to friends and accused almost everyone of conspiring against him. The symptoms lasted about a year, then gradually subsided. When he was able to work again, he prepared the Principia for a second edition and left Cambridge to become the warden of the mint. In London, he was knighted by the queen and elected president of the Royal Society. Though he still dabbled in alchemy and continued to write at length on theological matters, he never resumed his scientific studies. He did, however, leave behind eight volumes of mathematics. Vigorous until the end, he died at 85. Tim McGrath is a retired member of the Chicago Fire Department. Before joining the Department, he worked for ten years in the laser business as a technical writer. He taught a course in laser theory at San Jose City College and served as the West Coast Editor of Laser Focus magazine. He has a degree in philosophy from Tulane University. Publication: Monday, 28 January 2019, at 20:53. Options: Archive for Tim McGrath. Bookmark the permalink. Follow comments here with the RSS feed. Post a comment or leave a trackback. ‹ A Boat-Shape of Birds.